You’ll love the one- and two-bedroom pet-friendly Dwell Maitland, FL, apartments for rent by The Klein Company. Everywhere you want to be is within easy reach. 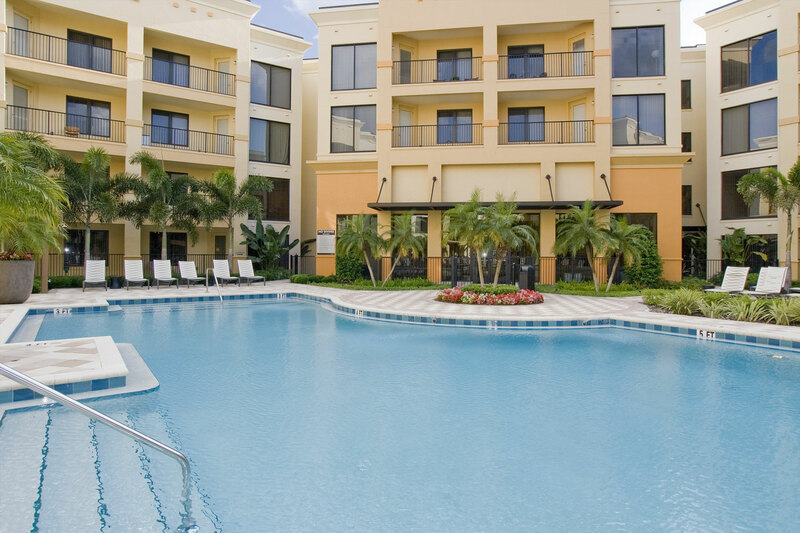 Dwell Maitland luxury apartments near the RDV Sportsplex is located near many attractions including Disney, downtown Orlando, top employers, universities, and the Maitland Center. Spacious, contemporary, apartments offer everything you could ask for, and some things you may have only dreamed of! 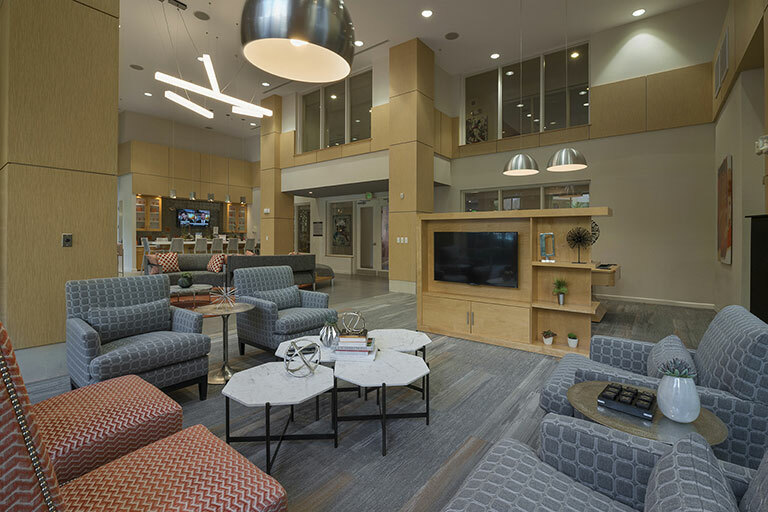 An opulent clubhouse features an elegant resident lounge area with designer furnishings, flat screen TVs, wi-fi access, movie rental, billiards, business center and conference room, an exceptional 24-hour fitness center, landscaped swimming pool, and zen garden retreats. Controlled-access buildings with elevators, a smoke-free building, air-conditioned interior corridors, controlled-access garage parking, and electric car-charging stations all make your life easier and more comfortable. Our pet-friendly Maitland community also features a fenced-in dog park and dog-washing station, providing the perfect place for your best friend to get some fresh air and exercise, and maybe even make some new friends! Whether you choose a one or two bedroom apartment, you’ll find an abundance of space and privacy in Dwell Maitland’s beautifully designed floor plans. Designer kitchens with granite countertops, nine-foot ceilings with fans, expansive patios, washers and dryers in each residence, and deep relaxing soaking tubs make Dwell a great place to call home. Dwell Maitland is owned and managed by The Klein Company, whose reputation for excellence in apartment management has been earned by combining skilled management teams with a company-wide emphasis on customer service. As a Klein Community, Dwell Maitland apartments assures its residents the highest standards of service and responsive, caring property management. If you’re looking for Maitland, FL, apartments for rent, contact Dwell Maitland today to schedule a tour! 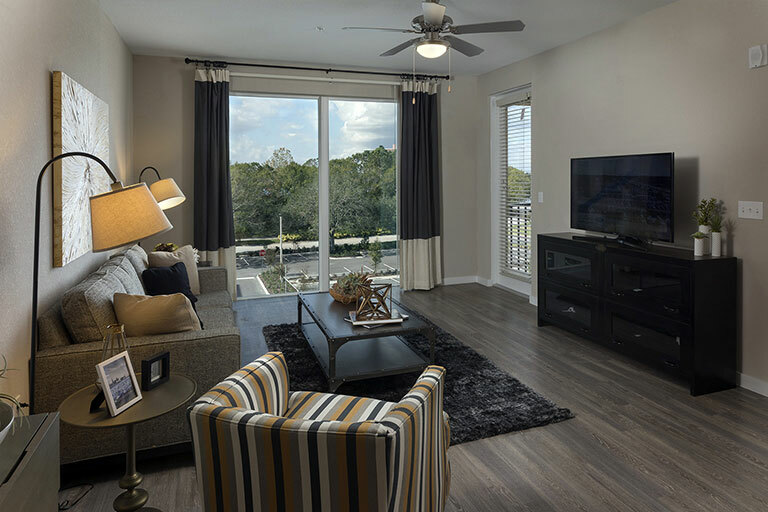 Envision yourself in our apartments in Maitland! At our luxury community, we offer one and two bedroom floor plans with soaring ceilings. Select apartment homes feature wood-inspired flooring, tiled backsplash in the kitchens, decorative paint themes, ceramic tile bathroom floors, plus plenty of storage and USB charging stations in the kitchen area to keep you connected. Dwell Maitland is dog-friendly and cat-friendly. We offer a fenced-in dog park and a dog-washing station. Our new apartments in Maitland are 100% smoke-free. For extra relaxation, enjoy our beautiful pool and zen garden. And when it’s time for a workout, visit our fitness center, which is open 24 hours, complete with personal training services and state-of-the-art equipment. Never worry about parking again—we offer open outdoor parking or a controlled access multi-level parking garage. Need something done in a pinch? We offer 24/7 maintenance. With close proximity to virtually every need and many employers, including Patrick Air Force Base, and across the street from the RDV Sportsplex, as well as being near the wonderful arts and culture of the area – you’ll love living at Dwell Maitland! Live the high life at our luxury Maitland apartments! All of our apartments in Dwell Maitland feature large walk-in closets, glass enclosed showers in the master bedroom suites, extra storage available for rent, and a full-size washer and dryer in each home. Bring your four-legged friends to enjoy the fenced in dog park on-site, complete with a dog wash station.